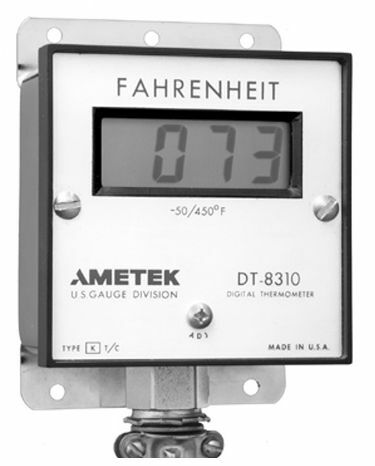 AMETEK DT-8300 Digital Thermometer was developed by AMETEK U.S. GAUGE. 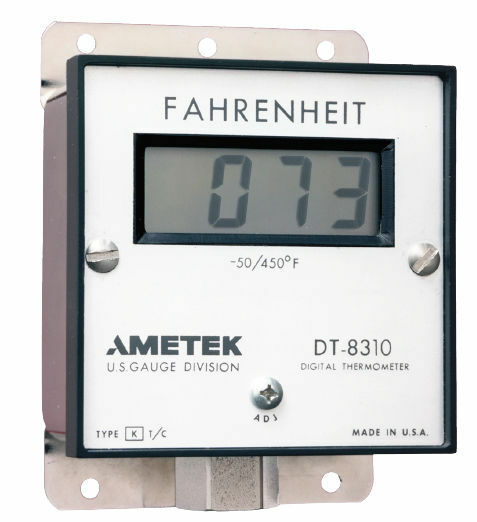 It is a field instrument that was built for temperature measurement anywhere in the plant. The product can be mounted remotely from a sensor through the thermocouple extension wire. It has four configurations that can be used for wall, pipe, panel, or stem-mounting. Its stainless steel housing and one piece VALOX® bezel/face ensure resistance from corrosion in harsh environments. The AMETEK DT-8300 Digital Thermometer can be used with a diverse range of temperature, and its large LCD display indicates low power and open sensor warnings. It can be used with AA batteries through its selfpower version. The device can last through one and a half year of continuous operation. This product is compatible with any Type K thermocouple device.